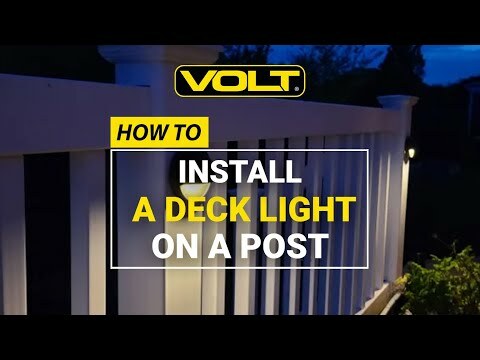 The Deck Light is a high quality low voltage outdoor lighting deck fixture from VOLT®. Featuring easy access faceplate, no tools required. Rotate the faceplate into a lock position onto an o-ring gasket. Sealed solid brass fixture means it's perfect for decks, docks, patios, posts, and railings. Professional quality internal components make for a fixture that will last a lifetime, even through harsh outdoor elements. Choose between 4' standard lead wire and 25' hub ready lead wire. Wire grade 16G, SPT-2 premium tinned copper lead wire. Silicone plug where lead wires exit fixture. Prevents ground moisture and insects from entering fixture.